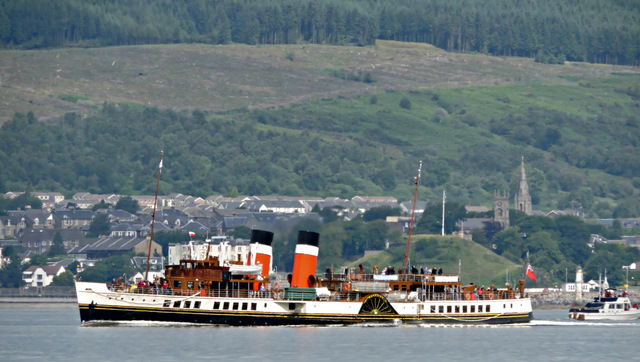 A leisurely cruise on the Waverley Paddle Steamer would have to be on my list of the ‘highly recommended’ if you’re looking for ideas for an enjoyable day trip. Not only will you enjoy the picturesque mountain scenery as you sail on the Firth of Clyde or some of the lochs, you’ll be creating your own little piece of history. 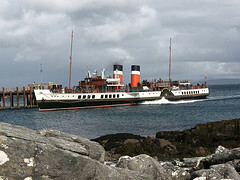 The PS Waverley is the last sea-going paddle steamer in the world. She was built on the River Clyde in 1947 to replace the original ship which was sunk at Dunkirk in 1940, and she’s been going strong ever since. After many years serving as a passenger ship, it was expected that She would become a museum. However, a massive restoration project to return her to her original style was completed in 2003. And the Waverley is beautiful. During your cruise, should you fancy eating or having a drink, you’ll have choices of two lounge bars, a tearoom, and a restaurant offering everything from snacks and three course meals with drinks. If you’d rather just relax, soak up the atmosphere and enjoy the views, there’s a comfortable observation lounge with windows on both sides, situated on the Promenade Deck. On the lower deck there’s a gift shop with a wide range of mementos and souvenirs of your trip, and you can send special Waverley postcards from here. 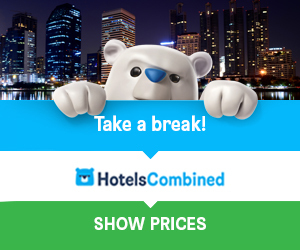 Large groups of up to 65 guests can hire one of the comfortable lounges to make your cruise a little more exclusive, and get a group discount. If you find yourself anywhere on the west coast of Scotland or in the Western Isles, you will not be too far away from one of the Waverley’s many departure points. Cruises are available day or evening, and there are special interest cruises for bird watching or spotting sea life. You can get connections to cycling or walking routes. So, what exactly is a paddle steamer? Well, it’s a ship or boat that uses one or more paddle wheels to provide the thrust to propel, and is driven by a steam engine. The Waverley’s magnificent 2100 horse power steam engine and the massive paddle wheels are on full public view. A cruise on the Waverley Paddle Steamer is a magical experience. For full info on departures, timetables and booking, check Waverley Excursions official website. Discover Scotland Tours Explore the beautiful Lochs, Castles, Whisky Distilleries and experience the true flavour of the country. From 1-6 days.